Carlsbad City Library’s ninth “Carlsbad Reads Together,” a communitywide reading program, will feature “Shanghai Girls” by New York Times best-selling author Lisa See. Carlsbad Reads Together is designed to bring community members together and engage them in discussion about the same book at the same time. Free events will take place in April 2013 to coincide with National Library Week (April 14-20). See below for a full list of events. For more information, call 760-602-2012 or visit www.carlsbadlibrary.org. Lisa See is the New York Times bestselling author of Peony in Love, Snow Flower and the Secret Fan, Shanghai Girls and Dreams of Joy, as well as the critically acclaimed memoir On Gold Mountain. She will give a free talk and signing on April 13 at 2 p.m. at Carlsbad City Library’s Ruby G. Schulman Auditorium, located at 1775 Dove Lane. All events are free and open to the public on a first-come, first-served basis. For additional information, visit www.carlsbadlibrary.org. Events are sponsored in part by Friends of the Carlsbad Library. Award winning author, China-scholar and health educator Ken Cohen will discuss the legends and lore of Chinese tea, including the traditional Chinese understanding of how tea calms the mind and treats disease. Ken will demonstrate the Chinese Tea Ceremony, and guests will have a chance to enjoy Chinese tea. Free tickets will be given out at Schulman Auditorium beginning 12 p.m. the day of the event. Acclaimed author Lisa See will discuss and sign her books. Seating is limited and tickets are required. Free tickets will be given out at Schulman Auditorium beginning 12 p.m. the day of the talk. Books will be available for purchase at the library. 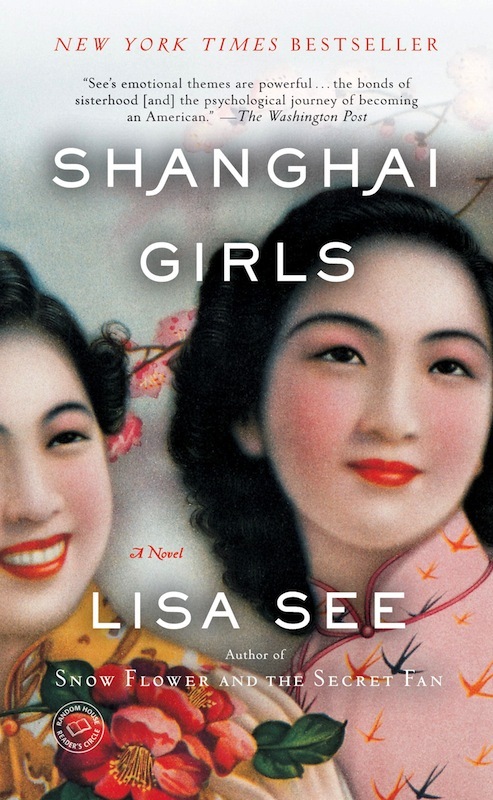 Wednesday, April 3 at 2 p.m.
Thursday, April 11 at 2 p.m.
April 23 at 6 p.m.
Join a Spanish-language book discussion for Dreams of Joy/Suenos de felicidad, Lisa See’s thrilling sequel to Shanghai Girls. Films will be shown Wednesdays in April at the Carlsbad City Library’s Ruby G. Schulman Auditorium. April 10 at 6 p.m.
April 24 at 6 p.m.
Sunday, April 21, 2-3 p.m.
Wu Man is an internationally renowned pipa (Chinese lute) virtuoso, leading ambassador of Chinese music and a principal member of Yo-Yo Ma’s Silk Road Project. www.wumanpipa.org. Featuring the stunning private collection of local collector Bea Roberts, this exhibition showcases Chinese textiles, clothing and crafts of the Guizhou Province in Southwest China. Monday, April 29, 3:30-5 p.m.
San Diego Museum of Art will bring a fun, hands-on art activity geared for teens, tied to the current exhibition, Vanishing Traditions. Limited to the first 40 teens. Tuesday, April 9 at 3:30 p.m. Stories, games and a craft for kids in grades K-5. Thursday, April 11 at 3:30 p.m. Kids in grades K-5 can fly their own work of art. Sign-ups required. Interactive read-aloud and game for grades 3 and up. Sign-ups required. Tuesday, April 16 at 3:30 p.m. Stories and a craft for kids in grades K-5. Tuesday, April 30 at 3:30 p.m. Performance showcasing traditional and ethnic Chinese dances for all ages.